IN the Tsui Hark movie All About Women, she plays a man-obsessed doctor who invents a pheromone patch to seduce men. The 32-year-old, who once swore that she would stay single for two years to get over her break-up with Chinese actor Li Yapeng (he married pop star Faye Wong in 2005), is now in a happy relationship with her stylist, Li Daqi. So did she make a move on her current boyfriend? Zhou Xun replied: 'I would say that we mutually wooed each other. In 2005, the actress had confided to China Daily that she was deeply hurt by her former beau and was extremely depressed for the two years after their separation, thus the vow to stay single. She had also said that 'only light music' could ease her depression then. The actress, who appeared in the black comedy The Equation of Love And Death, and horror movie Painted Skin this year, is also delighted with something else now: the release of All About Women, her third movie of the year. 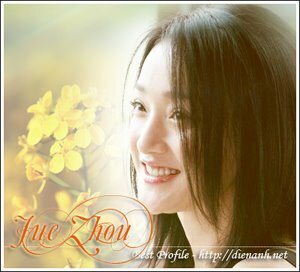 The Chinese media had called it 'the Zhou Xun year', and she admitted that 'the heavens' have been kind to her. Born in Zhejiang, Zhou Xun graduated from the Zhejiang Arts Institute and made her film debut in 1991's Inside An Old Grave, a made-in-China horror movie. However, it was not until she starred in Chinese arthouse director Lou Ye's film noir Suzhou River in 2000 that critics took notice of the gamine star. She soared to fame in 2002, after she played the spunky heroine Huang Rong in the drama serial Legend Of The Condor Heroes. The Chinese media now dubs her, together with China actresses Zhang Ziyi, Zhao Wei and Xu Jinglei, as one of the four most promising female stars in the country. Starring opposite Zhou Xun in All About Women is Hong Kong actress Kitty Zhang, who plays a woman who doesn't believe in love. There is also Taiwanese actress Kwai Lun Mei, who plays a champion boxer and rock-band leader. The three women each explores the dangerous addiction of the elusive pheromone patch as they navigate through their relationship problems. The movie opens in Singapore on 4 Dec.
Zhou Xun said of her character: 'She keeps reading 'How to fall in love' articles in magazines because she's desperate to have a boyfriend. 'When she chances upon a pheromone patch, she uses it to seduce men. It's really funny seeing her go through the process.' Her character's nerdy image did not help. Zhou Xun said: 'I put on glasses that were so thick, people said I looked like a frog!' But the hardest part about the role was filming a bed scene with Hong Kong actor Stephen Fung. She said they had to do several takes, but just 'could not get it right'. Her boyfriend Daqi, also happened to be the set designer of the movie and he constructed the bed scene. Was it awkward for her? 'The bed scene wasn't something to be ashamed about as it was all work. He's (Daqi) very understanding that way,' she said. Despite the difficult scene, Zhou Xun said that both Stephen and Tsui Hark 'were a dream to work with'. When asked to talk about the type of man she likes, she immediately mentioned Daqi's name. She gushed: 'I like him because he's a good man. 'I understand him really well as he expresses himself easily and talks about everything with me.' While the film may be all about women, Zhou Xun is certainly all about her man.